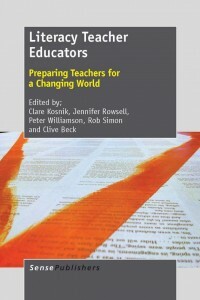 Along with my research team we have been studying literacy/English teacher educators. 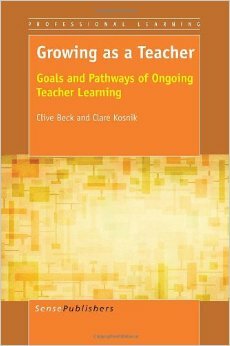 Through this work I became very fascinated with a notion of a pedagogy of literacy teacher education. In the second interview we asked them to define the goals for their courses. We then categorized and tabulated the results. As the table below show not surprisingly building knowledge of literacy was their first goal. When the specific goals for their courses were analyzed using NVivo a more nuanced picture emerged. Their vision for literacy varied tremendously. Regarding literacy although learning about literacy and acquiring pedagogical strategies were common goals, interpretations of what student teachers need to know about literacy theory and teaching strategies varied. 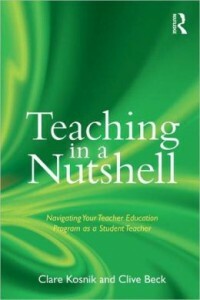 It also became apparent the teacher educators’ broader goals for teacher education were quite different. For example Justin believed that he should “prepare student teachers for a lifetime of teaching; prepare them to be public intellectuals; see schools as an emancipatory space. Caterina aims to have her student teachers “themselves as professionals not college students.” Emma has very specific goals: “understand current curriculum … develop skills to plan and asses … be independent thinkers who are not just teaching for the schools we have.” Bob by contrast has broader goals “student teachers learn to focus on the students … to unpack their beliefs [about schooling] … and to develop an identity as a professional.” While Martha Ann focuses on the individual’s development “develop a sense of self-efficacy … learn to take initiative … …. know children’s literature … empower students.” The lack of consistency in literacy methods courses (content and pedagogy) in teacher education is a concern because student teachers may graduate with markedly different understandings of literacy and may have been exposed to a particular set of literacy theories and pedagogies. 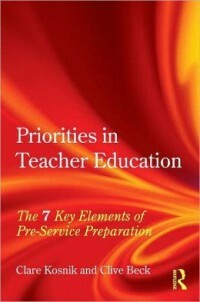 In my next blog post I will present the framework for a pedagogy of literacy teacher education. impact on him. Huh! So teachers and teacher educators you never know the difference you are making. You may be thanked at the Academy Awards. We make a difference often in ways we do not see or know. Working weekends. Is there a choice? Hmmm …. I came back to academia after being in a professional role for over three years with a promise to myself: I will not work across weekends. As I mentioned in a recent post, some people derided my promise. Many more laughed in disbelief, or were encouraging in their words but exuded an air of ‘that promise is doomed, doomed!’. Having been in a professional job where I found it extremely easy to maintain the boundaries between work and non-work time, I was very used to having weekends in my life. I assumed that transitioning (again) into an academic role while keeping weekends free would be relatively easy. It was the status quo for me at the time, after all. Two and a half years after returning to academia, then, how is my promise of ‘not working on weekends’ going for me? Terribly, I have to say. Well, I (Cathy) changed mobile phone brands. I was an avid iphone user, but my son-in-law convinced me to switch to an android. I’m delighted to say the switch over has been pretty smooth. In truth, I see very little difference. Both use apps. Both are user friendly. Both take great pictures. My messaging and contacts all remained the same. Mind you, I couldn’t answer my phone the first time it rang because I kept tapping the icon when I should have been sliding, and I didn’t set the alarm correctly the first time it used it and slept in. But other than that, the learning curve has been quite minimal. My favourite function of my new android is the slide pattern security code. So much easier than tapping numbers. Interestingly, I showed my new phone to an old friend the other day and she was horrified by the idea of not only switching phones, she wont give up her flip top. She said the new phones overwhelm her. I’m relieved I have not been overwhelmed, in fact I am invigorated. I’d like to try to use mobile phones more in my literacy class. Yesterday, I discovered our university does not have a class set of clickers for class feedback. But on Google I discovered I can use an app called Poll Everywhere for free with my class. The video assures me any mobile phone will work, even flip phones! Next week, its use your cell phone in class day. Just hope I set the alarm correctly and don’t sleep in! Good luck these first few weeks! A number of my friends and colleagues experienced the scenarios depicted below. Luckily, I (Cathy) never did. The transitions were smooth for us as parents and for our children. As teachers, however, my husband and I would get anxious, whether teaching K or undergraduates: what will our students be like? ; am I ready? ; how will I get my classroom set up? ; I don’t understand this new policy… Parents I spoke to (that were not teachers) were surprised by this. They assumed we had it ‘down pat’ and never even thought about it. They didn’t understand that every year was a brand new set of challenges and joys and it would take a few weeks to get things settled in. 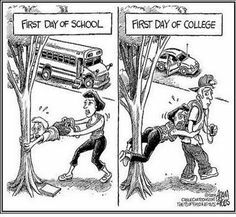 I wish all the teachers out there, elementary, secondary, and higher education a great start to their year. May it be as smooth and fruitful! One of my (Cathy’s) favourite first tasks for my new teacher candidates is to have them define the term literacy on paper- written or drawn- no right or wrong. I tuck this away for them and then give it back on the last day of our literacy course so they can it to compare their (hopefully somewhat) altered definition. For some the definition changes a lot and for some not so much. The differences represent the teacher candidates prior knowledge of literacy and literacy practices; their ability to make adjustments; their open mindedness; and their ability to accept change. Reshaping ones definition of literacy is a process and its actually quite demanding. LITERACY – Kindergarten to Grade 12 Literacy is … the ability to use language and images in rich and varied forms to read, write, listen, speak, view, represent, discuss and think critically about ideas. Literacy enables us to share information and to interact with others. Literacy is an essential tool for personal growth and active participation in a democratic society. The development of literacy is a complex process that involves building on prior knowledge, culture and experiences in order to instill new knowledge and deepen understanding. I especially like the last line. I hope my TC’s do to. 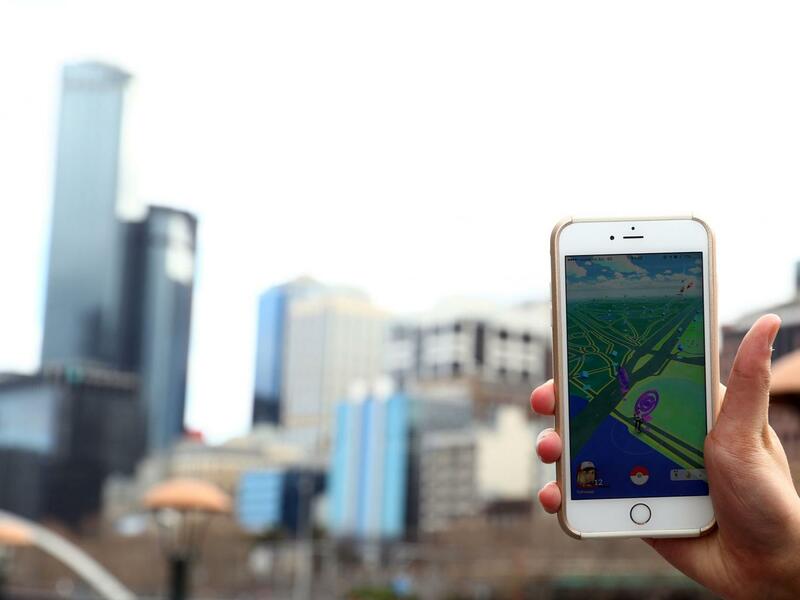 Pupils at a school in Australia are being actively encouraged to use Pokémon Go in the classroom, after research showed the game could help rather than hinder their studies. Craig Smith, an academic specialising in Autism research, found that by allowing his pupils to use the augmented reality game in and out of the classroom, their social skills had improved and the children appeared more engaged with their learning. Dr. Smith, who is also the Deputy Principle at the Aspect Hunter School for Children with Autism in Newcastle, New South Wales, said the game was unique in that it encouraged children with and without learning difficulties to play outside and engage with other students. With this in mind I am willing to give Go a go. Should be fun and give some else a chance to be amused at my chasing imaginary characters. I would also like to incorporate it into the orientation program of my literacy class! I (Cathy) find myself skeptical of books or articles that use the term ‘activities’ in reference to assigning work to students in the classroom. I was once told the term activities infers no purpose or goal and can be viewed as ‘busy work’. Instead, I was instructed to use the term ‘task’ which infers a specific result must be achieved to accomplish the work. I was therefore skeptical of a book I recently encountered titled, Pump It Up: Literacy Activities for the Classroom. However, the caption on the book jacket read “specifically aims to help pre-service teachers learn to implement hands-on lessons for their content area.” So I decided to take a closer look. 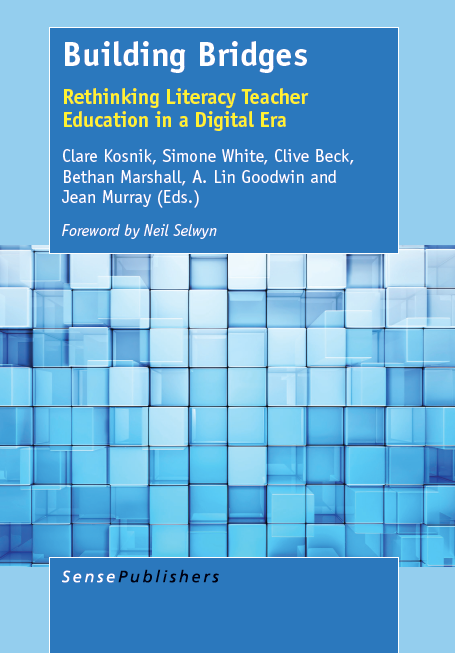 I quickly recognized the editors Joanne Kilgour Dowdy (Kent State University, Ohio USA) and Yang Gao (Kent State University, Ohio) required the contributing authors to include learning objectives for each learning ‘activity’ included in the volume. I also realized the editors use the term activity to refer to a series of tasks that comprise a lesson. For example, the activity depicted by contributing author Jessica Wilson explains, “This activity is devised to demonstrate how literacy and creativity can be achieved through all disciplines including science” and describes a free write lesson designed to encourage students to interpret key vocabulary words and develop appropriate syntax and discourse of key terms. I was delighted to discover the activities or lessons in the book explore an array of disciplines and topics (e.g., health and physical education; drama and other arts; social justice; multiculturalism through children’s literature; literacy/language arts; and mathematics) and the disciplines appear to cross (e.g., using dram to explore science and journaling to explore mathematics). Further, I was intrigued by the sections earmarked Becoming an Artist and Embodying Social Justice. Well, having now moved past my fear of the term ‘activities’, I have ordered a copy. I proved to myself I not only should not judge a book by its cover, I also should not judge a book by its title! As I will be teaching pre-service drama next semester and plan to include as many cross disciplinary ‘activities’ as I can , I am hoping this will be a nice addition to the book collection I will provide for my teacher candidates. Can’t wait for it to arrive! I (Cathy) have always appreciated and valued how technology, particularly Skype, can enrich our lives. I have used it and other forms of real time communication (e.g., Face time, Zoom) in research to conduct interviews; in classrooms to allow my students to meet authors; and in my personal life to stay in touch with my children while traveling. 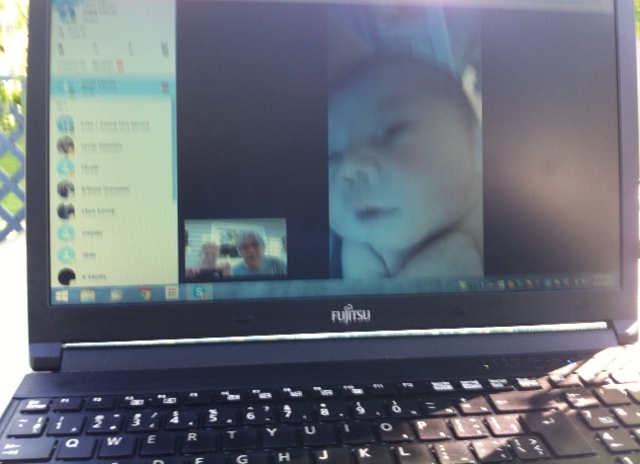 But this week, Skype took on a whole new level of personal meaning for me when my daughter prematurely gave birth, on the other side of the country. Within a few hours of the birth, I could ‘see’ my daughter and knew she was all right. Then my husband and I watched our new granddaughter. It wasn’t a still photograph, it was her in real time, moving and stretching, even crying. What a gift. To be able to be a part of something so precious, even when so far away. As a child I envisioned such things through The Jetsons cartoon. I can’t even imagine what darling baby Everley will witness when her grandchild is born. Beam me up, Scottie? Perhaps. Right now I am content to experience Skype and appreciate the joy it brings into our lives. 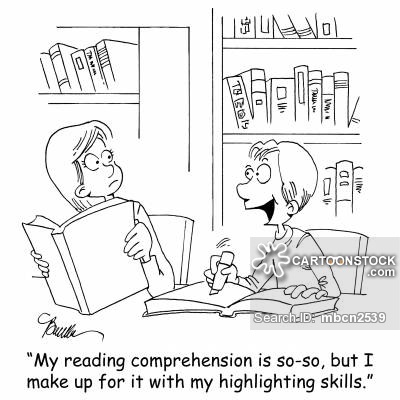 While teaching a third year university course in the Early Childhood Program I(Cathy) caught myself making assumptions about my students’ levels of comprehension. While working with with one student who seemed to lack a focus in her paper, I asked her to take the article we were examining home with her and highlight the important issues she noted on each page. When we next met, I asked to see the article; every paragraph was highlighed; every word was now encased in bright neon yellow. When I asked her if she thought perhaps a point made in one paragraph could be more important than another she insisted that it was all important because it had been published. Images of classes I had taught to elementary school children on discernment of text and critical thinking, and critical pedagogy flashed through my mind. Was she never taught this? I had assumed my third year students would arrive in my class with this skill. I was wrong. So now what? I smiled at her . “Let’s look at the first paragraph together,” I said. I knew I couldn’t catch her up with her many lost years, but we could make a start. Such is teaching.